Fake driving licences for 350 | What Car? The Police have warned motorists to be on the look out for fake driving licences, which can be bought over the internet for as little as 350. 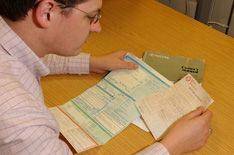 DCI Paul Lambotte, head of the Police National Vehicle Crime Intelligence Service, warned that many of the fakes are now of such a high quality that they are almost indistinguishable from genuine documents. Lambotte recommended that anyone using driving licence data should thoroughly check all licence documents, viewing both the paper and plastic counterparts, and checking details with the Driver and Vehicle Licensing Agency (DVLA). He also warned that any company that failed to check driving licence details could be liable for prosecution.